I like the vibe of the song and it has a strong message and great arrangement. 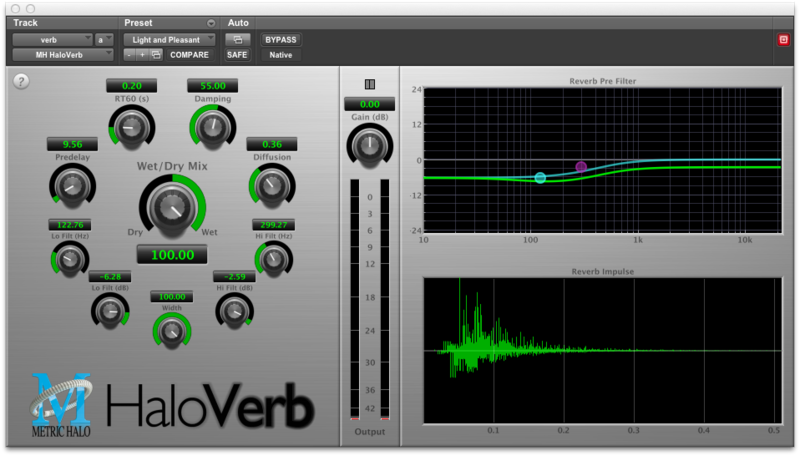 The main reverb used on the music is Metric Halo's HaloVerb which is part of their Production bundle. I was looking for a reverb that would enhance the sound without taking up too much space in the mix and it fit the bill perfectly. The HaloVerb rates a 10 on sonics and ease of use. "HaloVerb is a plug-in that allows you to add ambience and depth to your recordings. Based on the original HaloVerb for 2d Expanded Metric Halo interfaces, the AAX and AU versions expand on the great algorithmic sound to give you more flexibilty and control. Use the reverb impulse to see the reverberant field as you make adjustments, or hide the graphics and let your ears be your guide." HaloVerb MSRP $199 or buy the Production Bundle for $699 which consists of seven great plugins.